Answer just a few short questions and we will help you find your solution. Take advantage of our online debt solution finder today in order to find the specific service that’s best suited to your requirements. In just three simple steps, you will quickly be able to find the best debt solutions, as well as more specific information about any service that Debt Advisory Services (Scotland) Ltd provides. We can point you in the right direction by providing you with friendly, professional and confidential advice when you need it most. If you have completed our debt solution finder above and are waiting for a call-back from one of our friendly team members, take the time to get informed about how you can start fixing bad credit by downloading our FREE credit repair guide. Switching to Debt Advisory Services (Scotland) Ltd is the ideal move to make for those struggling with making payments on time. Read more about why you should choose to switch to us and how you can receive superior debt solutions today. Debt Advisory Services (Scotland) Ltd prides itself on high-quality services for those who are looking for effective debt solutions. Take a look at some of the many positive reviews left by previous clients who have had fantastic success with our services. 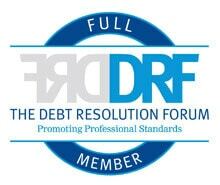 If you would prefer, you can get in touch with one of our friendly team members either by phone, email, or by filling out our quick and simple online form in order to give you relevant debt solutions as well as in-depth information regarding what those services can provide.